So what was Stonehenge anyway? A druidical art installation that was way ahead of its time? A car park for assorted alien lifeforms and their spaceships? An ornate sacrificial altar? An allotment? Well latest research suggests that it was in fact the ultimate rave and festival venue. With a graveyard thrown in for good measure. The findings fly in the face of long held assumptions that the stone circle on Salisbury Plain was constructed as a stone age observatory or astronomical calendar. 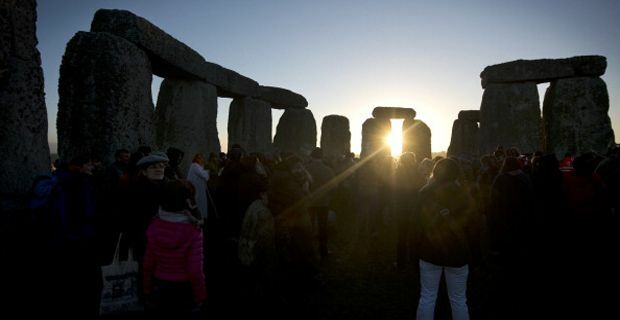 A team led by Professor Mike Parker Pearson of University College London said Stonehenge, a UNESCO World Heritage site, is both older and had a different function than previously thought. "In many ways our findings are rewriting the established story of Stonehenge," Parker Pearson said. The archaeologists have been working at Stonehenge for over a decade, focusing on targeted excavations, sophisticated scientific testing and the detailed analysis of 63 sets of human remains from Stonehenge’s heyday. Interestingly they also found evidence of a culture of cremation that may have been marked by certain standing stones. Laboratory tests on 80,000 animal bones excavated from the site also suggest that around 2500 BC, Stonehenge was the site of immense communal feasts. These would have been huge celebratory congregations with up to one tenth of the entire population of Britain in attendance. As Parker Pearson vividly puts it, Stonehenge may have been something akin to "Glastonbury festival and a motorway building scheme at the same time." "Stonehenge was a monument that brought ancient Britain together," he said. "What we've found is that people came with their animals to feast at Stonehenge from all corners of Britain—as far afield as Scotland." He said it appeared to be the "only time in prehistory that the people of Britain were unified." The parallels with rave culture are far from tenuous. Absolutely spot on in fact. Primal celebration in the wilds of nature with archetypal currents of unity and community running through the bedrock of the human spirit as natural rhythms peak. Is there anything more intrinsically human?